Taken from the beautiful Crazy D.O.G show! by Miwa Shirow and friends. 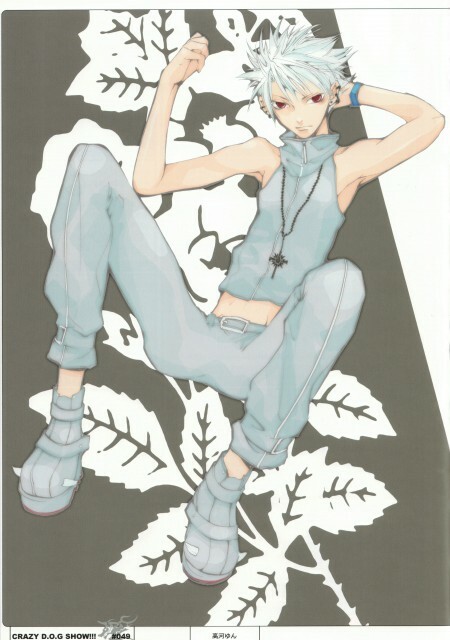 More pale than normal, Haine reclines in this image drawn by Yun Kouga. The art is very pretty... The smooth colors are what outstand most... the flower at the back is so pretty. It's somewhat a simple design, but still very elegant! Image drawn by Yun Kouga? The one who drew Loveless? O_o?